1. Sam faces challenges because he has a rare genetic disorder. His mother instilled in him that these red eyes were not rare but extraordinary and a gift from God. Talk about the effect this had on Sam and the importance of how it did or did not help shape him. Is this sentiment still popular today - if you are a mother would handle Sam's condition differently? 2. In school, Sam was bullied, ostracized and made to feel like an outsider. Discuss bullying and its impact on children and on Sam in particular. How do we handle bullying differently today? Discuss how the adult Sam confronted David Bateman, the same bully he faced in school and has to decide whether or not to be the doctor for David's daughter. What would you have done? 3. Sam, Ernie, and Mickie formed a special bond that helped them survive the prejudices of their world. Do you think their strong life long friendship was more than sharing the common feeling of being different than others? What did they learn from each other? 4. Why do you think Sister Beatrice treated Sam the way she did. Was this more surprising because she was a nun? What does Sam's final act towards her say about Sam? 5. There are many instances in the book where Sam struggled to understand and accept the events and people in his life. Discuss some of the ways Sam's faith was tested and the role faith played in his life. 6. 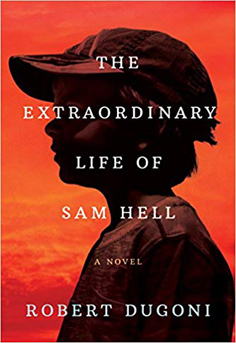 Sam's mother wanted her son to live life to its fullest; his eyes were "God's will" and meant to make him extraordinary. Did Sam share this philosophy? Did he feel he lived up to his mother's expectations? 7. We are introduced to many people and events that pulled Sam down and made him question his existence. Although fewer in number, there are also those who nurtured and had a positive effect on Sam. Discuss some of these people. 8. Sam is very disappointed when he is not chosen for the much-deserved valedictorian. Talk about his reaction and was it the right one? How about Ernie's reaction? 9. Talk about Sam's decision to get colored contact lenses to hide his red eyes. 10. Discuss the impact Fernando had on Sam. Why do you think he stopped wearing contact lenses after meeting Fernando? 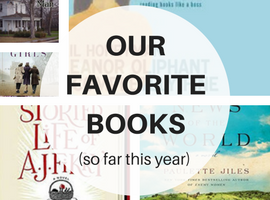 *Discussion Questions By PrincetonBookReview.com - Feel free to use with attribution. A wonderful coming of age story about a boy born with red pupils. As a result, he's bullied and has few friends. Since there is a lot of discrimination: racial, sexual, disability, etc. 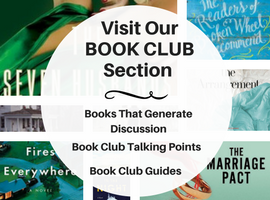 there is much for book clubs to discuss. But it's also a book about strength and determination.